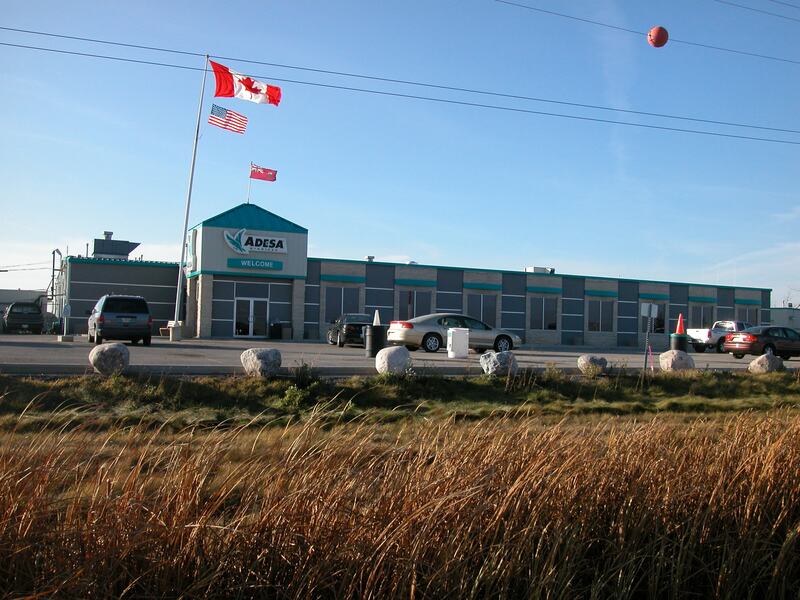 Adesa is North America’s premier vehicle auction operator. Their Manitoba location is located just north of Winnipeg. The bright teal-coloured metal cladding of this building nicely highlights the masonry and the deep grey acrylic stucco. Reveals in the stucco are just the extra design element this structure needed. Natural light flows into the large entrance and office areas due to the large number of windows incorporated into the front elevation. Behind the front offices is a large warehouse area used for reconditioning vehicles, vehicle auctioning and vehicle remarketing services.